There are several benefits to cannabis and a lot of people around the world enjoy its effects even recreationally. There is a lot of mystery and suspicion surrounding cannabis, but it is a natural element that not only has relaxing effects which people enjoy recreationally, but there are also several medical benefits cannabis can offer. One of the most common ways of consuming cannabis is to smoke it or inhale it. For this, as you may know, you can use an apparatus called a bong, which typically uses water to filter the cannabis out and give you a clean, smooth ‘hit’. There are several types of bongs available in the market, each with a different type of mechanism and different characteristics and shapes. A straight tube bong is one that you may see the most often. It is one of the simpler designs out there and is fairly straightforward to use. It typically comprises a straight cylinder with a stem and a bowl on the side. To operate this particular style you only have to add water to the tube and place your cannabis in the bowl and you are good to go. The smoke is filtered by the downstem which needs to be under water at all times. This is the choice most beginners make. Straight tubes are most commonly used for herb-based substances. It can come in different designs and percolator variations and is also available in a variety of sizes. The straight tube bong is also relatively easy to clean and is convenient to maintain. A beaker-shaped bong is, quite literally, a modified laboratory beaker that works as a bong. This bong is heavy at the bottom, making it more stable and allowing you to keep it anywhere without worrying about accidentally knocking it over. Beaker-shaped bongs come in a variety of shapes. There are also wider beakers bongs, which are capable of generating more smoke. Other than the shape, the mechanism of the beaker-shaped bong is the same as the straight tube bong. There is a bowl and a downslide, which needs to be submerged in water. You can then place the cannabis in the bowl, fire it up and start smoking. Beaker bongs can also hold more water than a straight tube bong, which means that the filtration is superior. Since there is more water in the apparatus, it also remains clearer for longer and the water needs to be changed out less frequently. Beaker bongs are our favorite shape, probably because the look is the perfect combination of functional design and beautiful aesthetic. Similar in mechanism to beaker-shaped bongs, round base bongs have a round chamber at the bottom where the base is flat. They are relatively a lot more stable than straight-tube bongs because the bottom is heavier and provides more girth, but only slightly less stable than beaker-shaped bongs as the flat surface at the bottom is smaller. Other than these small differences in shape though, the basic mechanism and working of a round-base bong and a beaker-shaped bong is the same. Multi-chamber bongs, or recycler bongs, are like the straight tube bong except there are multiple chambers that shoot out of the tube for greater filtration. In this, the straight tube has at least two other chambers connected to it. The upper and lower chamber contains the water. Since there are two chambers holding water, there are also two stages of filtration which allows the smoke to be cleaner and smoother for the person inhaling. Since there are two chambers and a double-filtration process, multi-chamber bongs are harder to build, therefore also making them more expensive than a regular straight tube or beaker-shaped bongs. Multi-chamber bongs can also be slightly more complicated to clean. Gravity bongs are fast becoming more popular because you can make them out of regular house hold items and they are cheap. These bongs use the vacuum created when the water leaves the enclosed space. The bucket gravity bong is the basic version of the gravity bong. It needs a plastic bottle and a bucket of water. The bottle is cut so that only the top portion remains. You then drill a hole into the bottle cap where you can smoke through. The bottle is then submerged into the bucket of water so only the top portion is above water. The cannabis is lit on the cap over a layer of foil. Once the apparatus has been set up, you need to pull the bottle out slowly but stop before it comes out completely. This creates a pressure chamber, which allows the smoke to travel up to the mouth of the bottle. Once you see the bottle full of smoke, remove the cap swiftly and inhale the smoke. 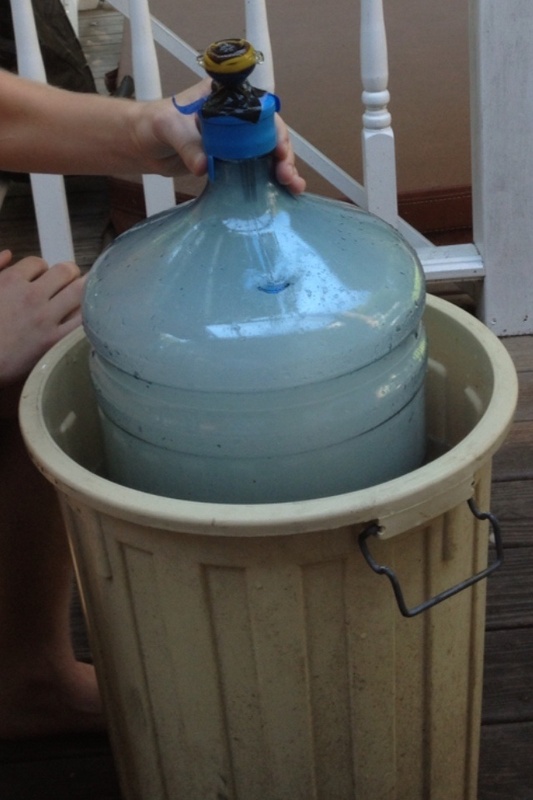 While a bucket gravity bong is extremely easy to make at home if you require a makeshift bong, you may need a professionally assembled bong at some point so it is more portable. This type of apparatus also gives you a cooler, smoother smoke as the cannabis has been filtered out by the water. A waterfall gravity bong is a more complex version of the gravity bong. It is similar to the bucket gravity bong, but instead of pulling the bottle up in order to create the vacuum, the water is drained out from below. In this case, you can use an entire bottle, which works both as the bong and as the bucket. Drill a hole in the cap small enough that the cannabis does not fall through. Then make a small piercing at the bottom of the bottle so you can plug it with one finger. Fill the bottle with water, place the cannabis on the cap and light it. Once the cannabis has been lit, allow the water to drain out from the bottom. As that happens, the release of the water creates a vacuum which allows the bottle to be filled up with smoke. When all the water has exited from the bottle and it is full of smoke, plug the hole at the bottom with your finger, unscrew the lid and inhale. Again, this is a very easy apparatus for you to build at home. But if you want to use this bong in the long term, opt for a professionally built glass or plastic model. A percolator bong, also known as a bubble bong, can be of various types. You can have a straight tube percolator bong, a beaker-shaped one, a round-base one or any of the other popular shapes. While the shape may differ, what makes this variety of bong distinct is the ‘percolator’ inside. This is a piece of glass that redistributes the smoke before it comes in contact with the water, causing the water to bubble. Since the smoke is dissipated one stage earlier, it filters out much better and also cools much faster. There are different types of percolators you can work with, too. There can be single-chamber percolators, where the percolator is located at the bottom of the bong, multi-chamber percolators, in which the percolator is in another chamber, or a combination of both, a multi-chamber, multi-percolator bong. Since this is a more complex construction, these types of bongs tend to be more expensive and can also be harder to clean and maintain. Faberge eggs, as you may know, is the famous Russian imperial eggs and that is exactly what this bong is named after. The Faberge bong gets its name from the egg shape of its body which contains multiple percolators that help the smoke to dissipate before it hits the water. Since there are more percolators, there are more bubbles created in the water. This bong type has an intricate structure and therefore is one of the more expensive varieties of bongs in the market. It can also be more difficult to clean as there are so many percolators working to filter the smoke. A zig-zag bong, endearingly called a ‘zong’, has a ‘zig-zag’ shape. This also a common variety of bongs that provides you with a great smoking experience. Not only do they look extremely trendy, but they also help the process of filtration greatly by ensuring the water does not come up from the chamber when you inhale the smoke. The curve of the chamber guards you against any splash from the water and prevents any of the water to rise from the bottom of the chamber. These types of bongs can have both, a round bottom and a beaker bottom. What has been described above are different types of bongs, but what are these bongs made of? Glass is a very common material for making bongs. It is so popular because it gives you a clean taste and the interiors of the bong do not alter the taste of the smoke because of the material used to build it. You can also get a clear view if there is a build up of contaminants inside the bong. These are popular bongs but can also be expensive. Plastic bongs are also a very popular choice, especially if you want to travel with your bong as they are durable and do not break easily. As opposed to glass bongs, plastic bongs will not break if you happen to drop them. There are some great plastic pieces out there, but our favorites are those that are molded to look like something else, like an ice cream cone for example. They are also much cheaper than other materials, though the plastic can alter the taste of the smoke slightly. *We are including silicone in the plastic category since it is oil derived and synthetic just like general "plastics", however silicone has its own unique advantages like being flexible and travel-friendly. Learn more about the coolest durable, travel-friendly silicone options for those of you looking for something a little more robust in our Top 5 Coolest Silicone Bongs piece. This is a great, eco-friendly choice and is actually one of the materials that were first used to build bongs. Bamboo can also be cut and molded in a variety of styles, though bamboo bongs tend to be quite simple. Again, this material is extremely durable and also light, making it perfectly portable. It also gives the bong a cool, earthy look so it is a great choice all around. This is not a very popular material for making bongs, however, there are a few metal bongs going around. These bongs are extremely long lasting and can be molded into any shape that a glass bong can be. Today, however, you may find bongs with elements of metal in them but the entire bong being made of metal is rare. Metal bongs can also change the taste of the smoke and makes it difficult to tell if the water needs to be changed. Ceramic bongs can be quite fragile and also heavier than most other bongs, but they look exquisite. As a material, ceramic is not particularly hard to work with so it can be molded into any shape. Ceramic bongs are usually expensive as the material is more pricey. These particular types of bong are also heavier than most so it is not conducive to travel with. If you buy a ceramic bong, you may not be able to use it daily but it looks great on your display cabinet and is perfect to bust out on special occasions. The material also does not alter the taste of the smoke. A bong is one of the easiest and most effective ways of consuming cannabis. There are other methods too, like cooking it into a spongy dessert, like a brownie or infusing it with butter. A bong, however, is a hassle-free apparatus that you can carry with you at all times, depending on the material it is made of. You do not have to worry about rolling the cannabis into a joint or finding other ways to consume it. As long as you have some water at hand and a clean bong, you can consume it within minutes, wherever you are. There is also a wide variety of bongs you can pick from, as the article above illustrates. Even if some may be more expensive than others, bongs are a long-term investment that will ensure you do not have to fumble around for rolling paper, for years. You can buy bongs in a variety of sizes so they can fit into your suitcase if you are traveling. They also come in different materials so you can opt for a bamboo or plastic one if you would like it to be more portable, or a stained glass one if you would like it to enhance a room when you are not using it.